So we took a few weekends to get a pretty basic sewer bay in shape for this summer’s camping season. 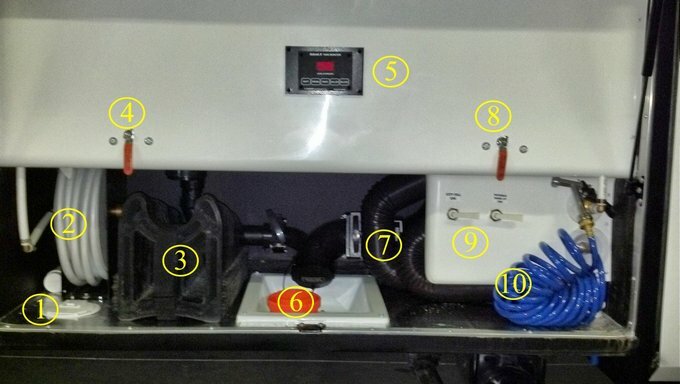 #8 - This is the black water rinse valve and the same setup as #4. #9 - These are the city and fresh water tank valves which were installed by the manufacturer. We hope some of the ideas we put to use in this storage bay can be used in your own setup to make your life just a little easier when it's time to go RV'ing.